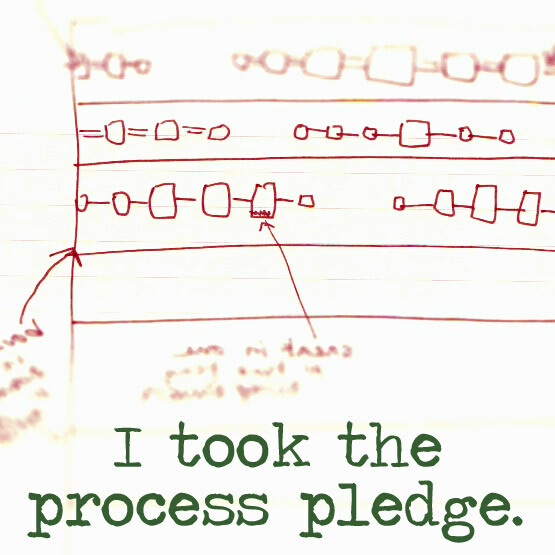 Today I discovered a common thread. 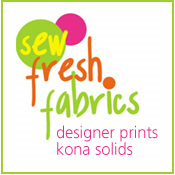 I’ve been loving quilts with a certain look… lots of color, contrast and an emerging design. Turns out I love value quilts. 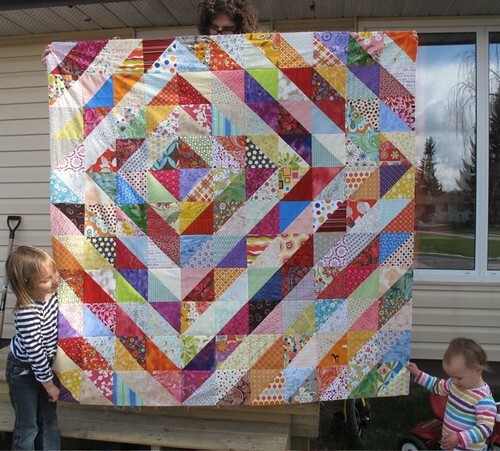 Her quilt reminds me of my Colorbrick Quilt. So much color and happiness! 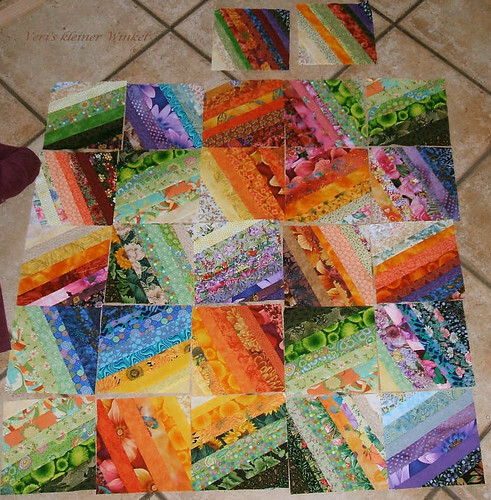 But unlike Colorbrick, where I agonized about color placement for ages, a multi-colored value quilt usually goes together with little regard for color. Basically, you separate your pieces into light and dark values and them piece them spontaneously, trusting the values to make the quilt shine. 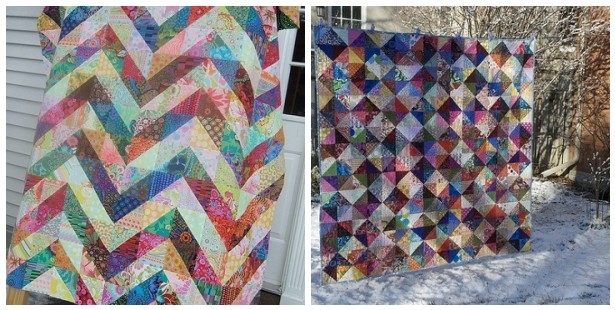 Here are some more of my favorite value quilts in a smorgesboard of color. 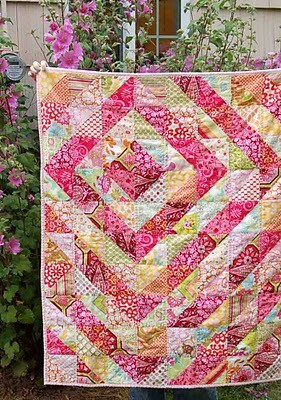 I’ve also seen some beautiful value quilts that use color and value. This one is stunning. See how each block is one color in many shades (or two complimentary colors) with values from light to dark? Amazing, right?!? And here’s a simple squares quilt, using half square triangles. Jeni of In Color Order created her squares with mostly dark value warm colors set against mostly light value cool colors to create a lovely effect. I think I’d like to see this done with all dark value warm colors vs. all light value cool colors. Would it be more fabulous or less so because of the predictability? Hmm…. 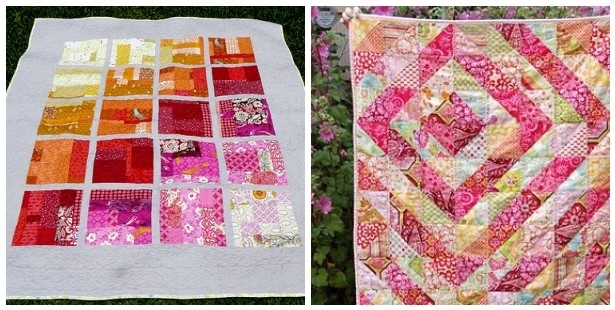 Here are a few more value quilts where color is central to the design. 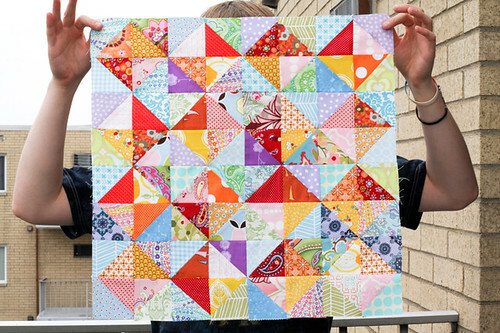 If you’re feeling the value quilt love, you should check out the Sew Katie Did tutorial. It looks like she inspired a whole run of value quilts! Now, I just need an excuse to make one? Or do I? Yes, I do. Well, Liam’s birthday is in February…. a REALLY BIG Important Announcement!